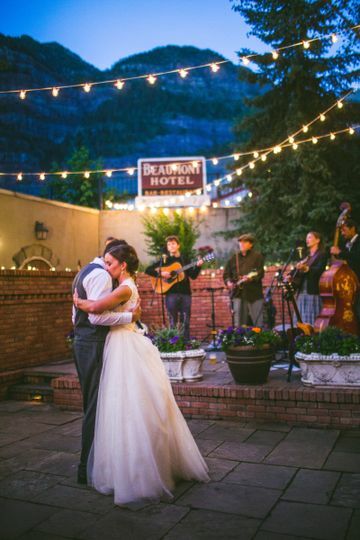 Beaumont Hotel & Spa is a venue located in Ouray, Colorado. 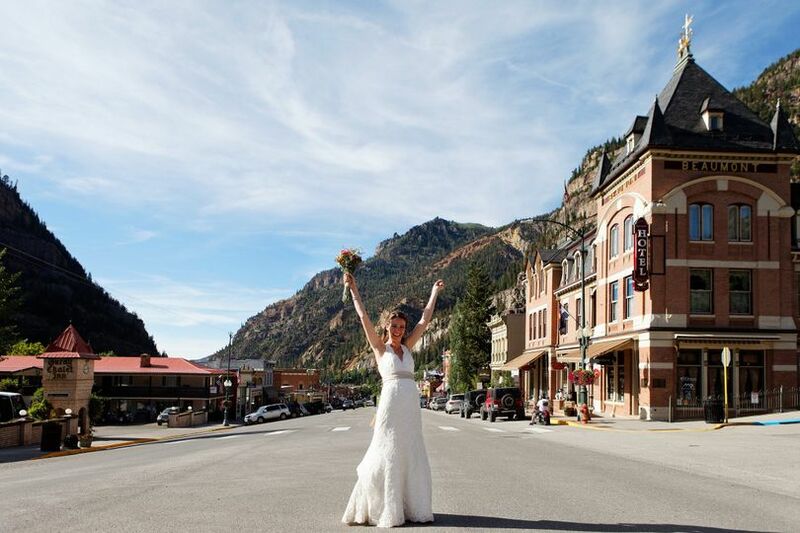 On your wedding day, you and your guests will get to discover in person why this area is known as the “Switzerland of America.” Tall mountain peaks surround this elegantly styled hotel. 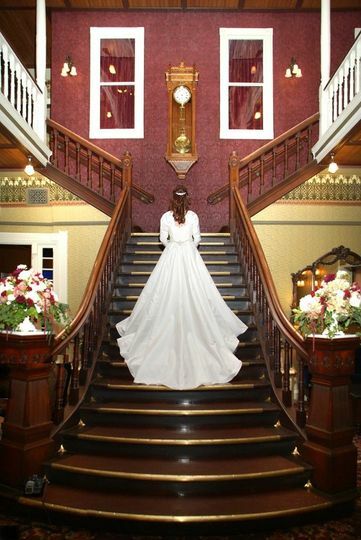 With its peaked architecture and lovely Victorian style décor, you and your guests will be able to perfectly meld together rustic touches with luxury to create a memorable ceremony and reception. The hotel can accommodate up to 300 of your friends and family. 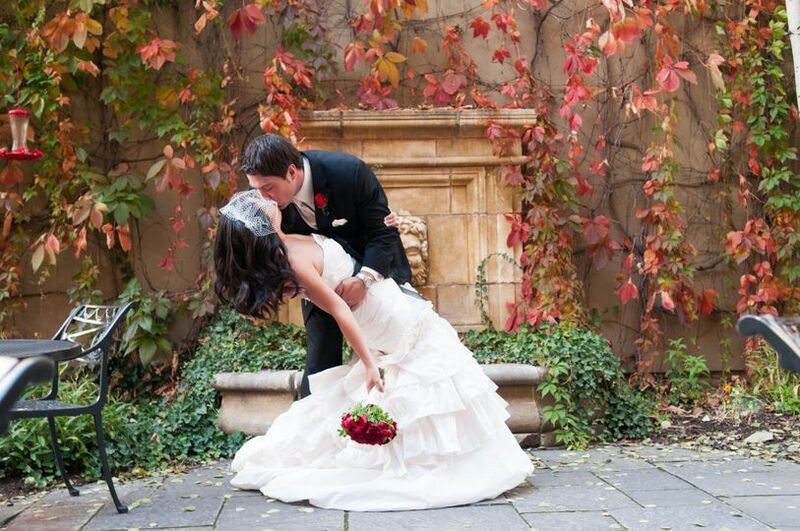 The ceremony and reception sites are quite flexible and can be accommodated to meet your individual needs and desires. In fact, there are even back-up plans in the unfortunate event of bad weather. 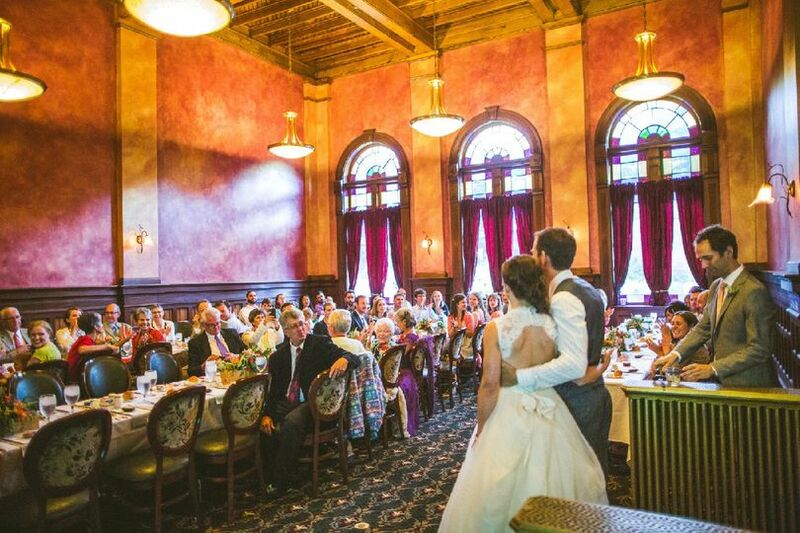 Indoors, couples can create memories in the Historic Grand Ballroom, VIP Lounge, Conference Room, and more. Outdoors there are private hideaways such as the Garden Courtyard. Because of its setting near the mountain ranges, you will have the towering peaks as your backdrop throughout the hotel. 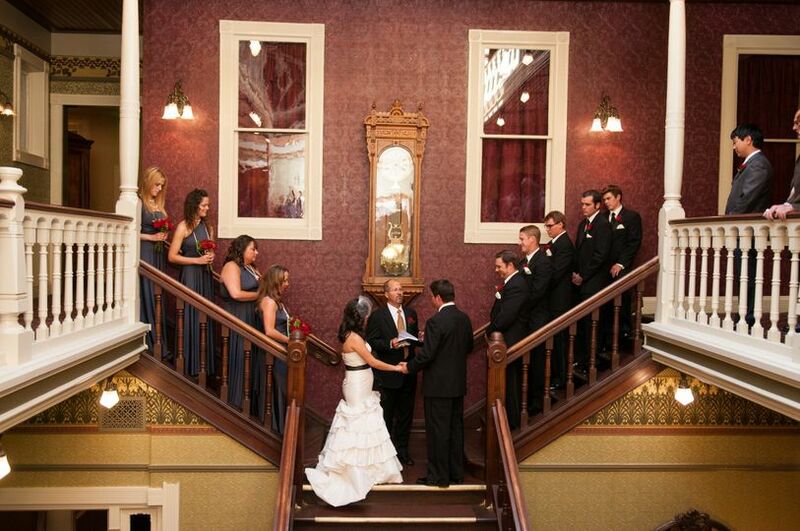 The hotel also contains 13 guest rooms that you and your wedding party can reserve and stay in after the wedding. Of course, with all these scenic mountain views, you can use the property as your photography setting as well. 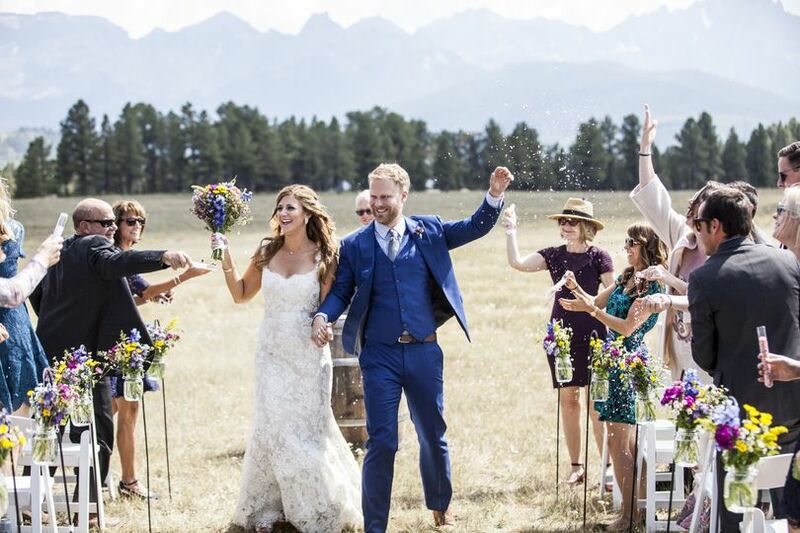 My husband and I changed our wedding reception venue to the Beaumont courtyard two weeks out from the big day and Jennifer and Chad were very accommodating and reassuring that their team could pull it off within the short timeline. In our time of panic about changing everything last minute, they were the ones who kept us grounded throughout the process and we felt confident that they could make our dream reception come true and they did. It could not have been more perfect! They worked with our wedding planner to ensure that everything went seamlessly and helped her to get an understanding of the courtyard layout since she does not live locally and did not have the chance to see the venue until the day of. They were able to get all of our local favorite alcohol options, which was a nice personal touch to have for our guests! They also worked with our caterer and DJ ahead of time to coordinate what was needed by them. And the courtyard itself is gorgeous! It made decorating much easier as everything was already so beautiful between the colorful flowers, the amazing mountain views, and the unique historical architecture. There was plenty of room for our 85 guests and having the option of the connected indoor restaurant / bar area made for a perfect layout to keep the buffet, drinks, and cake indoors and safe from the outdoor elements and also provided a nice place to set up a photo booth! We could not be happier with our decision to have our wedding reception here. The venue, the owners, and the staff were the absolute best and provided us with the greatest memories for our special day! 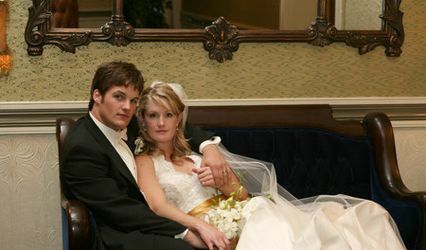 Loved my wedding day. Jennifer is an amazing resource! Great venue in a beautiful location. 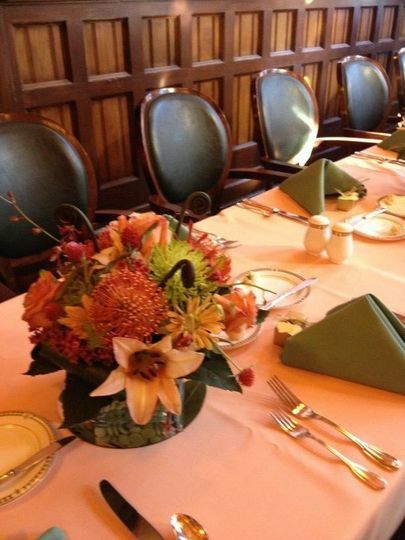 We had a lovely summer wedding reception at the Beaumont Hotel. The building's beautiful historical details are preserved for guests to enjoy, and the hotel proprietors are very pleasant to work with. 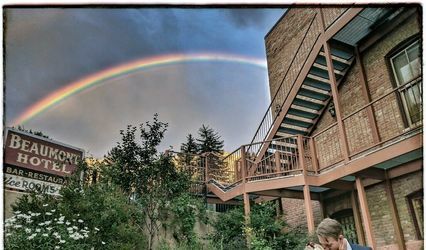 We rented the hotel for our wedding party, which worked out wonderfully. 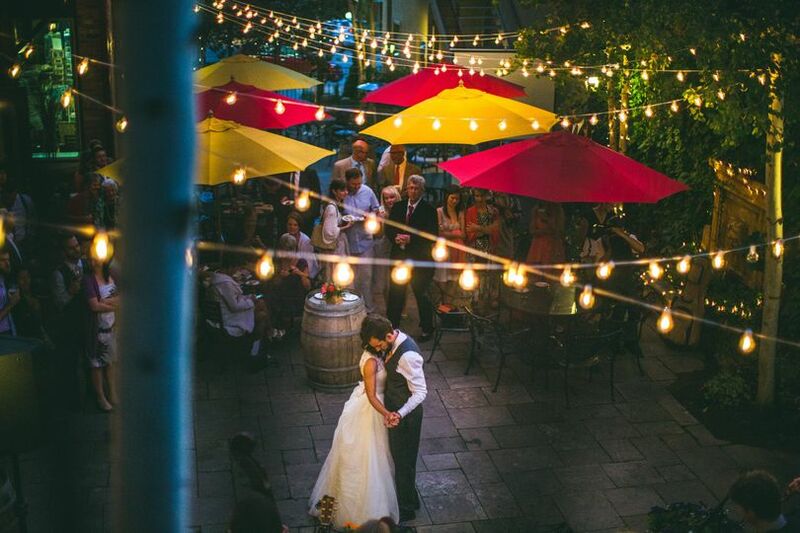 The courtyard was our reception venue, and it looked great with cozy lighting against a backdrop of mountains. Jennifer and Chad personally oversaw the night's operations so that everything went smoothly. Many thanks to them! We plan to visit the Beaumont again in the future. 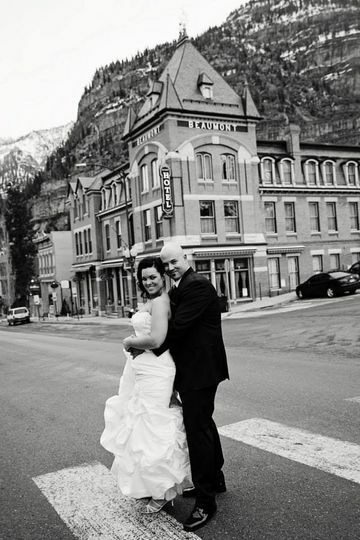 The Beaumont Hotel & Spa is a beautiful historic building in downtown Ouray that embodies the town&apos;s rich history. I love working weddings at this hotel not just because it&apos;s beautiful but the owner, Jennifer, is wonderful to work with. She, and her staff, are very organized, accommodating and friendly.